Buy Sada Barfi of Laxmi Mishthan Bhandar from Jaipur online | Authentic Indian Sweet , Savories and Delicacies from the place they originate by Moipot. Sweet and succulent in taste, sada barfi by Laxmi Misthan Bhandar (LMB) gives you a burst of khoya (thickened milk) goodness in every bite. 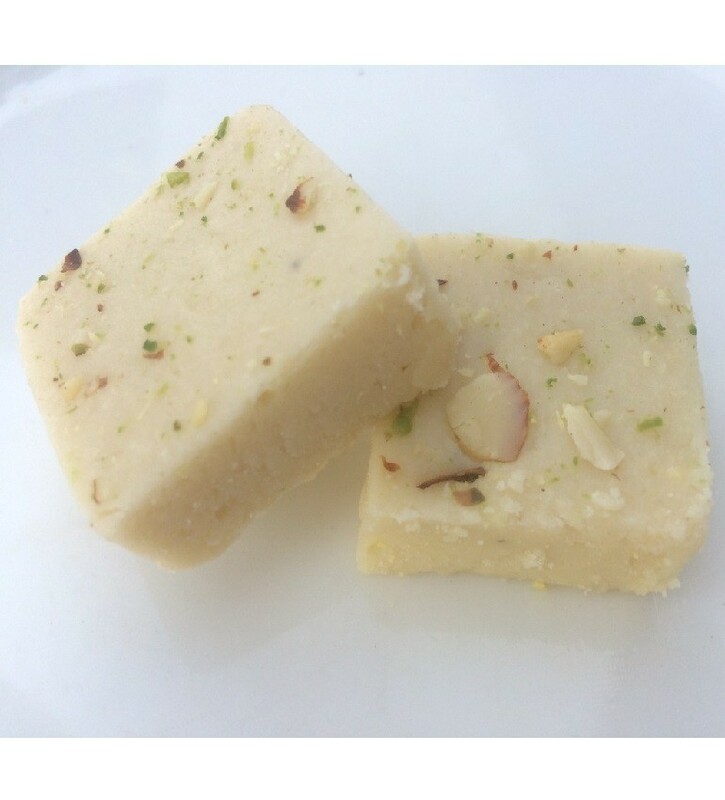 Made with khoya as the basic ingredient, crushed nuts are added to enhance the sweet flavour giving it a nutty taste. Wonderful nibbling, you will love the taste, crunch and flavour of this delightful dessert.